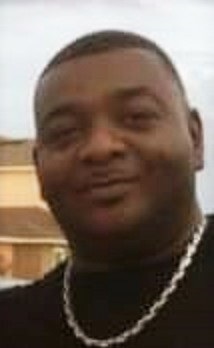 Obituary for Carlos Mitchell-Zachery | House of Wheat Funeral Home, Inc.
ZACHERY, Carlos Mitchell “Big Country”, born in 1968 in Carrollton, GA, passed away Sunday, March 24, 2019. He grew up attending Bright Star Baptist Church until the age of ten when he and his family moved to Dayton, Ohio. During his teenage years he spent a lot of his time at Roosevelt Recreation Center participating in boxing, swimming and serving as a lifeguard. In 1990, he met his wife, Shearon, later moving to Georgia where they started their family. The love of their union created Brittne and Brandon. In the mid-90s, Carlos joined the Dayton Chapter of Young Bloods MC where he later retired as the National Enforcer. In the early 2000s, he started his own company remodeling homes. In 2013, Carlos relocated to Florida where he drove trucks for a local paint company until his illness. He is preceded in death by his brother, Rico Reese. He leaves to cherish his memory his wife, Shearon Zachery; father, Ernest (Verleda) Mitchell; mother, Betty Reese; son, Brandon Zachery; daughter, Brittne Zachery; brothers, Turone, Rene’ and Christopher Reese, Ernest Jr. (Germika) Mitchell; sisters, Bonita Tinsley, Erica (Tony) Hoyle, Chavela Reese, Veronica Mitchell; God daughters, Donise Durham, Kierra Finley; special cousin, John Arnold; five loving grandchildren, aunts, uncles, nieces, nephews, other relatives and friends. Funeral service will be held 1 pm Thursday, April 4, 2019 at the House of Wheat Funeral Home, Inc., 2107 N. Gettysburg Ave. Rev. Raleigh Thornton Jr. officiating. Visitation 8:30 am at funeral home until time of service. Family will receive friends one hour prior to service.